Hi everyone! Welcome to another week of reading and blogging! Also, random note: Due to being away all weekend and at a Christening etc, I’m already one book behind my Goodreads goal. Aren’t I a great book blogger? Moving swiftly on, today’s post is dedicated to my lovely friend Pete! Hi Pete! If I remember rightly…this is his favourite book of all time. And I know how much that means to people, to have a book you relate to and adore so much that it is your absolute favourite. 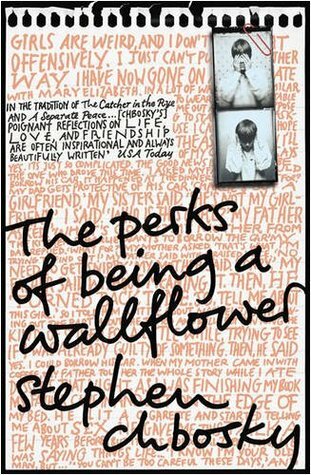 I read The Perks of Being a Wallflower back when I ran my first book blog with an old friend I’m no longer in touch with. So even though I don’t actually have my review anymore, I do remember that I adored this book too. It’s not quite my favourite, but it’s definitely up there for me too! How much do you love this YA classic? Uh… I think you might have a glitch. It says the word “Save” a bunch of times on the WP Reader. That’s awesome! Oh my gosh, I *adore* Eleanor & Park. Okay that’s good! Sorry about that haha. Maybe I should edit it a little at the end of my posts..
Hmm, maybe? It’s fine, though! You got to meet her?! 😮 I’m officially jealous!